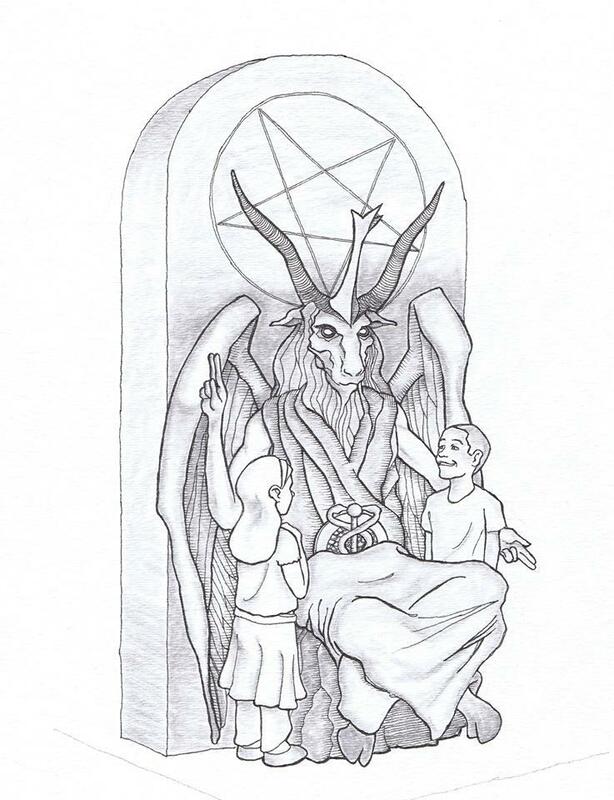 Monday the New York-based Satanic Temple unveiled their design for a proposed monument on the grounds of the Oklahoma State Capitol. The statue features a goat-headed Satan sitting in a throne with children next to it. The Satanic Temple says Oklahoma's decision to put a Ten Commandments monument at the Capitol opened the door for its statute. Temple spokesman Lucien Greaves says it's moving forward with plans to have its monument approved, despite the Oklahoma Capitol Preservation Commission's decision to place a moratorium on new requests. The commission says it's waiting until a lawsuit over the Ten Commandments has been settled.